The availability of flexible resources is becoming increasingly important with increasing renewable generation. As part of the ARPA-E NODES project, a group of researchers are working on aggregating distributed flexible loads and DERs to provide grid services while maintaining customer quality-of-service. 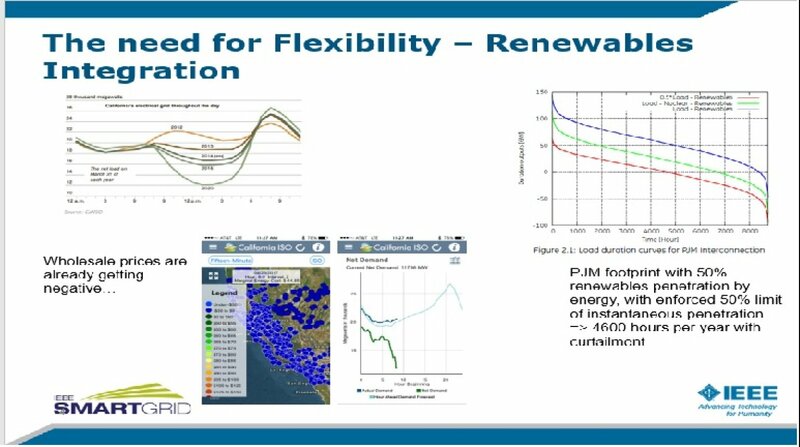 The presentation will cover the development of flexibility forecasts that use weather forecasts and other data to estimate the reserve potential of aggregate loads and DERs. An optimization framework that enables aggregation of a large numbers of flexible loads and DERs and determines the optimal day-ahead schedule for these resources will be discussed. Finally, a scalable control architecture for coordinating and controlling the resources in real-time with low latency will be presented.